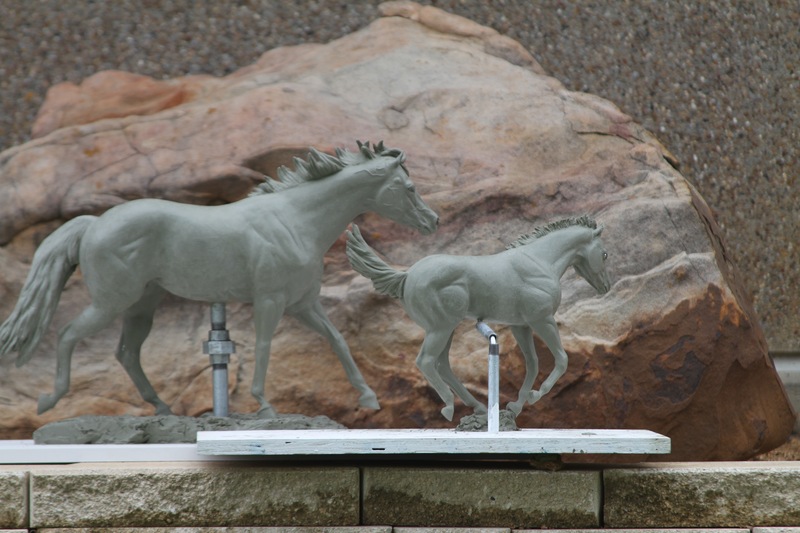 The Oklahoma State University Welcome Plaza, nestled between the Paul Miller Journalism and Broadcasting Building and the Student Union, is envisioned as a marquee attraction with an impressive sculpture of a galloping mare and her foal. 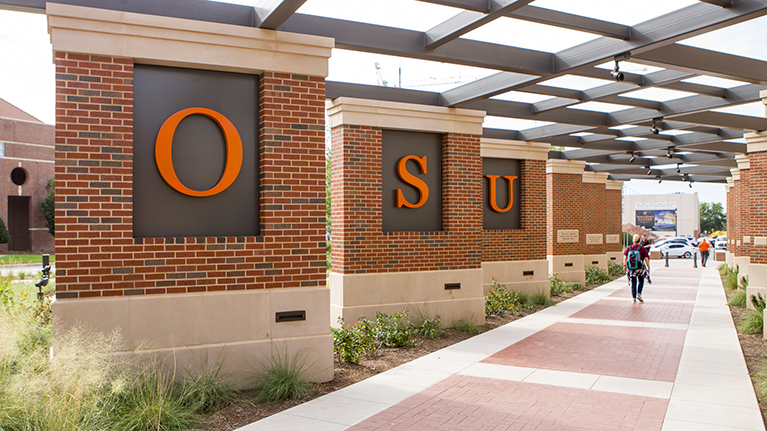 When you support the Welcome Plaza, you help shape the future for Oklahoma State University. By contributing to the fund below, you make our future brighter orange! 20-69800 - This facilities fund supports the General University. 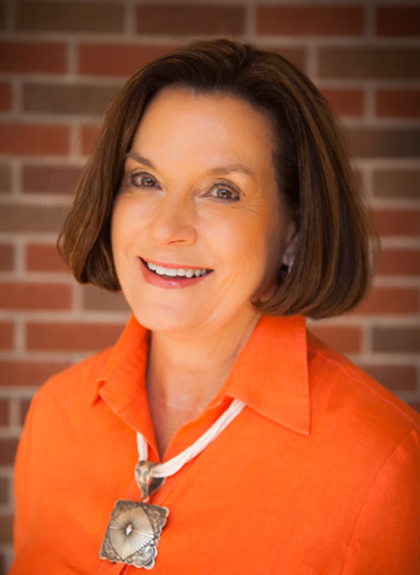 A new art installation project will be the focal point of the Welcome Plaza, greeting students and families as they make the decision to call Oklahoma State University home. This vibrant artistic expression is an important component of OSU’s master campus beautification plan, which aims to sustain and increase the quality and quantity of green spaces across Oklahoma State. The piece symbolizes a coming of age with a focus on family, directly correlating with the nearby entrance to the Admissions Office in the Student Union and the ConocoPhillips Alumni Center across the street. 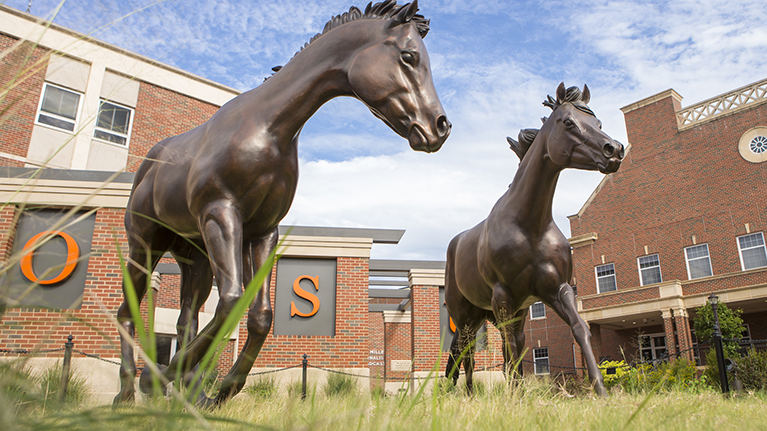 The sculpture is meant to welcome new generations of students while introducing them to the concept of the Cowboy family — at OSU, we stick together, no matter what. The plaza will be an inviting garden area, landscaped to provide shade and an outdoor living space for everyone on the OSU campus. 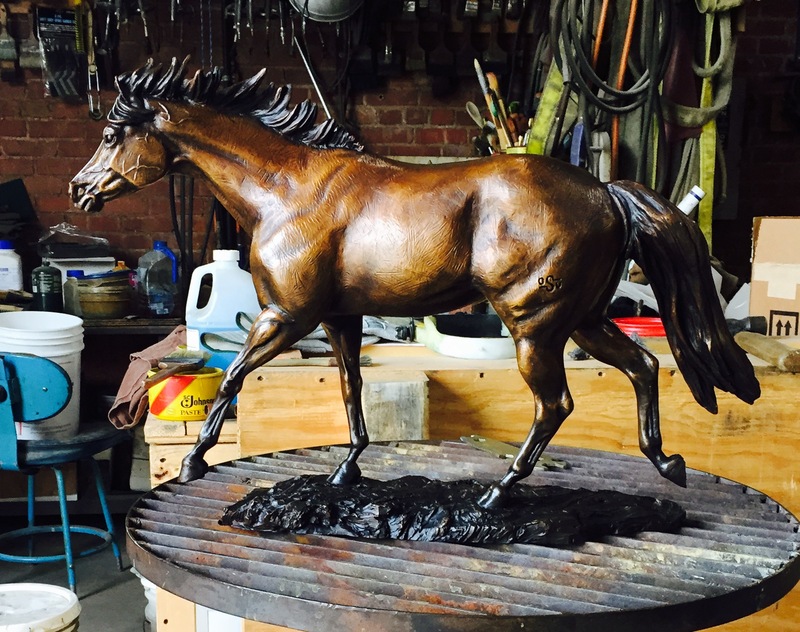 It will include a sculpture of a saddle with this quote from John Wayne: “Courage is being scared to death ... and saddling up anyway.” The arbor features 10 columns that will be inscribed with tenants of the cowboy code of ethics, completing the symbolism of the Welcome Plaza and what it means to be a Cowboy. The space will quickly become an iconic feature and provides unique opportunities for you to support the vibrancy of OSU in a visible way. 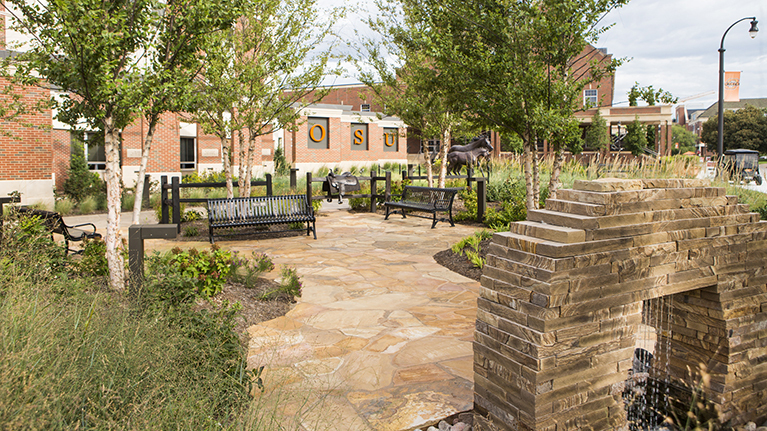 Whether your goal is to memorialize a loved one or to establish a tangible connection with OSU, the Welcome Plaza includes several options for meaningful giving experiences. Click here to download Giving Opportunities One-Pager. 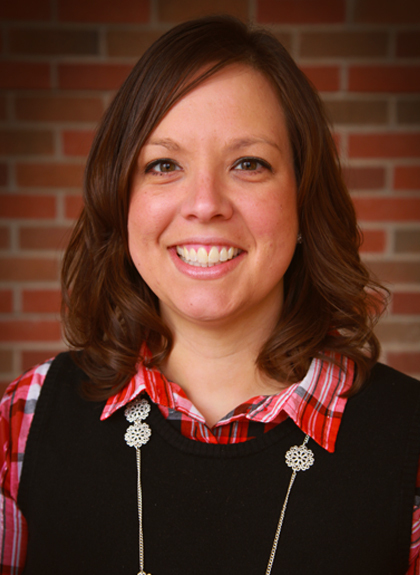 To learn more about gifts to the Welcome Plaza, contact Heidi Griswold.